Updated 02-21-2019 --- Updated for the February 21, 2019 game patch (1.50.67) to add some changes which will be required for the next game pack. Companion Mod If you like this mod, you will probably also want to get the Don't Prep Food Where You Angry Poop mod. Update - There is now a Default Enabled version available for download. If you switch from one version to the other remember to remove the old mod's script (the package files are identical between versions). This mod allows you to set individual sinks on any lot to enable or disable dish washing at that sink. Since it uses a script to setup the object states for the sinks, it should be compatible with any sinks in the game (even from expansion packs I don't have). After installation, the default for sinks on all lots will be to NOT allow dishes to be washed at that sink (UPDATE: there is now a Default Enabled version for download). 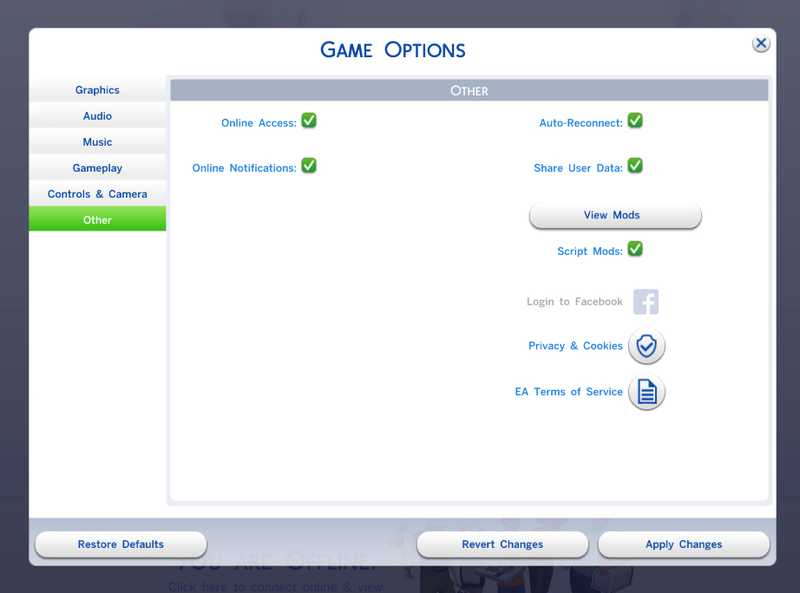 Simply click on any sink and choose Enable Dish Washing to allow Sims to wash dishes at that sink. The setting is saved along with the save game as it uses a standard object state to remember the setting. I chose this approach for this mod as I often use what would typically be considered a "kitchen" sink on cabinets in a bathroom, and sometimes vice-versa. Instead, the player is allowed to select what sinks should be used. Again, the default is to not allow dish washing. If no sinks are enabled on a lot, Sims will instead simply throw away the dishes in the trash. Note for users of SCAM Autonomy must be on for the dish washing interactions on the sink in order for this to work. If you wish to turn off autonomy for dish washing, turn off the clean autonomy on the dishes themselves. 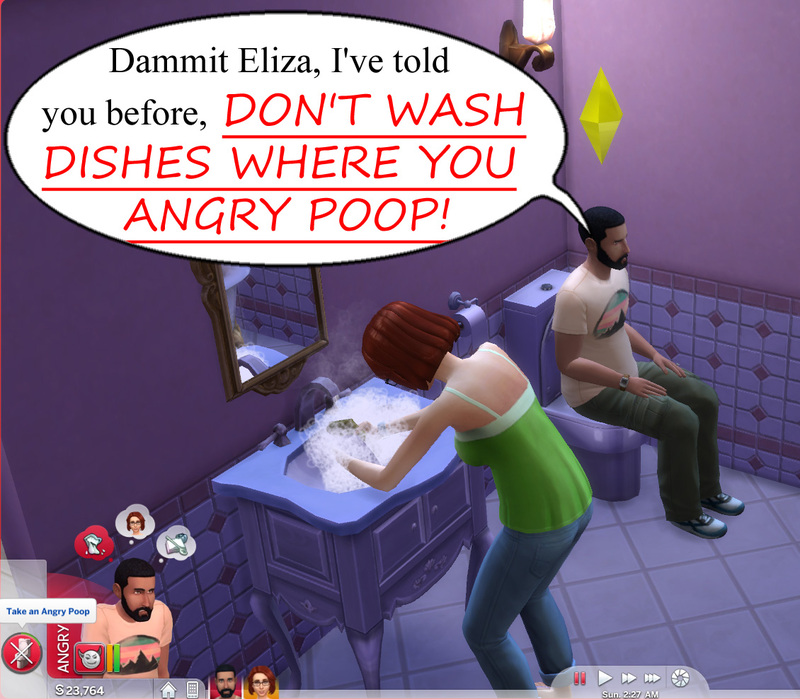 Turning off dish washing autonomy on the sink will make Sims unable to find an appropriate sink that you have enabled for dish washing. Removing the mod will return sink behaviour to normal and allow Sims to wash dishes at any sink. This mod was written and tested on Windows for The Sims 4 version 1.44.77.1020 (June 19, 2018). It should be compatible with any stuff or game packs and most other mods. The game's object tunings are overriden in the script, which allows it to be compatible with other mods that override those objects. In addition, it will automatically adapt to new game packs that add additional sinks without requiring further additions to the package. All sinks which are found to contain the sink_washSingleDish are patched with the required object states to enable or disable sink washing and remember your settings. The script uses features of the game that have been stable for years and are not likely to break in future patches.